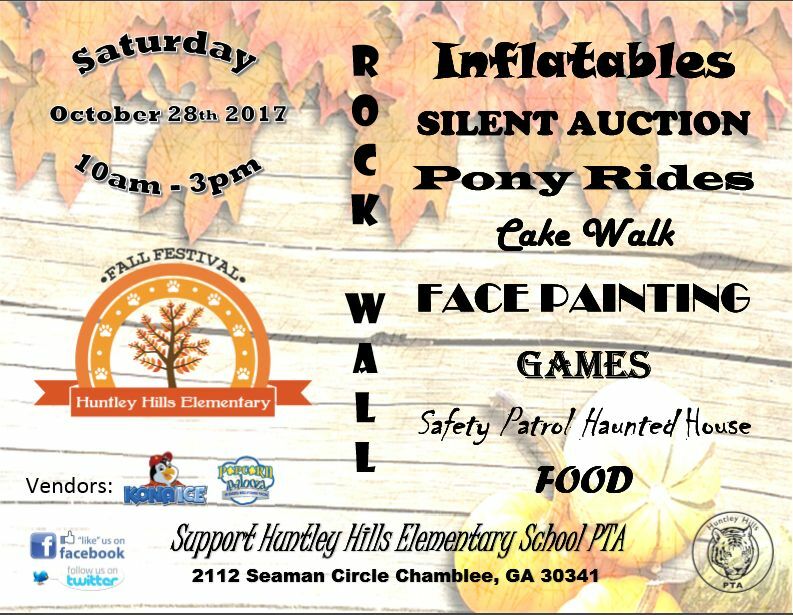 A great big thank you from the Huntley Hills Elementary and Montessori School PTA for your support of our Fall Festival Saturday October 28th, 2017. The event was a success despite the rain and we were able to raise funds to continue our enhancements for our school. Planning for our 2018 Fall Festival (Saturday 27th October 2018) has already began so if you are interested in sponsorship or participating for next year please don’t hesitate to reach out. Bolling Hines Realty our Siberian Sponsor! Jim Ellis Automotive our Bengal Sponsor! Marcus Jewish Community Center of Atlanta - MJCCA and The Mad Italian our Caspian Sponsors! Central Heating and Air Conditioning, The Dojo American Karate Centers, Tutor Doctor Brookhaven, and The Right Smile Center our Bali Sponsors! Click on the Online Store link to buy Raffle Tickets for the Big Green Egg and Festival Wristbands! 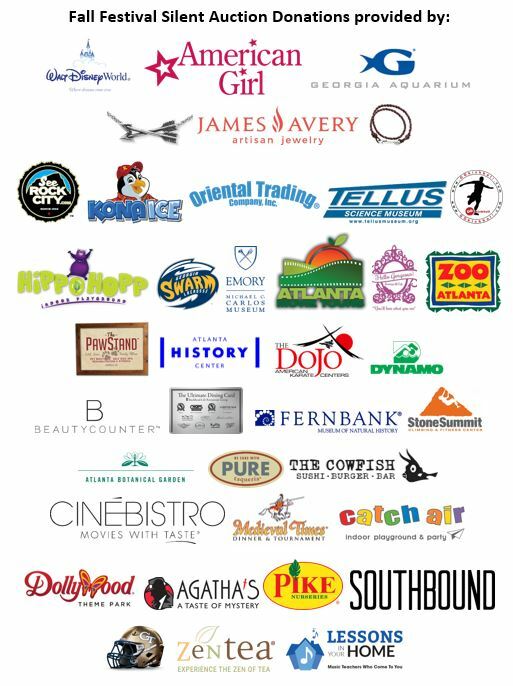 Check out these Silent Auction donors!